Word is Kawhi Leonard is considering not playing for the Raptors this year. This would make me, a basketball fan, very sad. 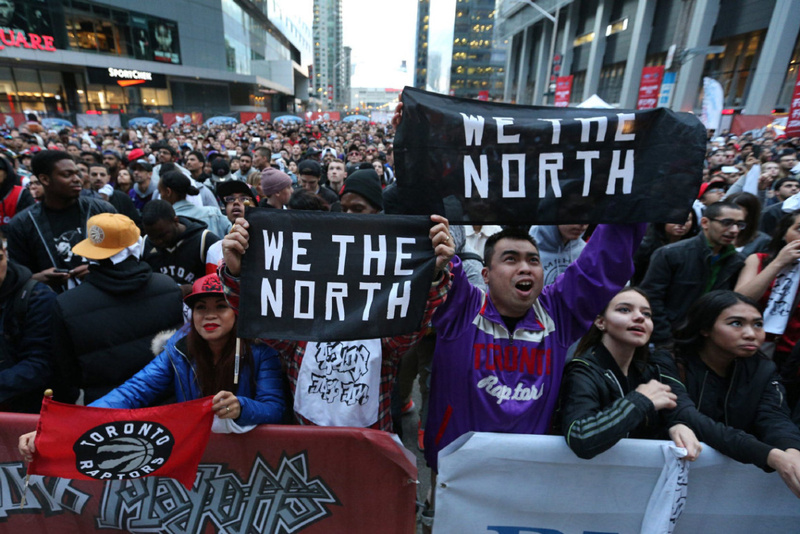 The people of Toronto want to show Kawhi that they are a great city and a great fanbase. But here’s the deal: they shouldn’t have to do that. It should speak for itself. And so, if you’ll allow me to, Toronto, I would like to explain why yours is a wonderful place and why Kawhi and other NBA stars and also other regular old non-NBA stars should want to visit or work there if given the opportunity. Toronto is a world-class city. I am not on expert on what defines a “world-class city,” but it just is. Anyone who has visited or spent time there agrees on this. The people are lovely, the food is tremendous, the neighborhoods are dope. I, a non-expert, would pit it up against New York City, Los Angeles, or Chicago without hesitation. Note: I was going to include a picture of the American and Canadian leaders of state but then I started to fall into a rabbit hole of doom and no one needs to go there with me. Toronto fans are exceptional. Yes, it’s a hockey-first town. But the idea that a fan base has no idea how to support any other sport except hockey is ridiculous. I mean, remember when the Blue Jays were in the playoffs? Okay, so they treated the baseball game like a hockey game. So what? I’m not super into debris being thrown on the field, but the Jays did get hosed that game, and the passion was undeniable. Basketball-wise, they’ve got tons going for them. The whole “We The North” thing is great branding. And the crowds watching playoff games outside the arena always look super full and super torqued. Did you know Boston is technically north of Toronto? Well, it’s not, but I mean it’s really close. Anyways it’s still great branding. Obviously, there’s Drake. Drake is a plus and having champagne papi in the house every night is a great look. I’m not gonna spill any more words on Drake. And then there’s random fun street dancing! You’ll be loved. Your team will be good. And you may even make the Finals. The city is great. Yes, it’s cold in the winter, but guess what – so are most places, sometimes. The arena will always be the same temperature, and the fans will always be the same level of crazy. So hop aboard a Porter flight to Billy Bishop airport, enjoy a complimentary Steam Whistle, and get out there and hoop.